Planned to pick up a DROID RAZR for the holidays? Make sure to check out the impressive set of accessories that play nicely with the device when you do, as Verizon will give you $50 off of them. 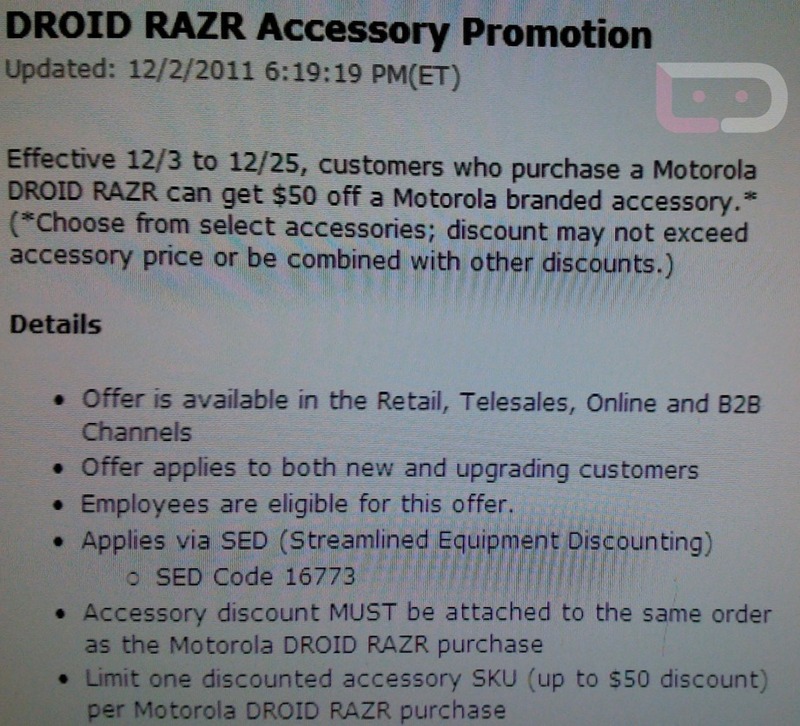 Well, only Motorola accessories are included in the deal, but that should easily get you into an HD dock or deeply discounted Lapdock. Be sure to bring up the deal during the purchase process though – this deal doesn’t appear to be one that can happen a day or so later. It looks like you have to use the $50 discount at the point of sale.